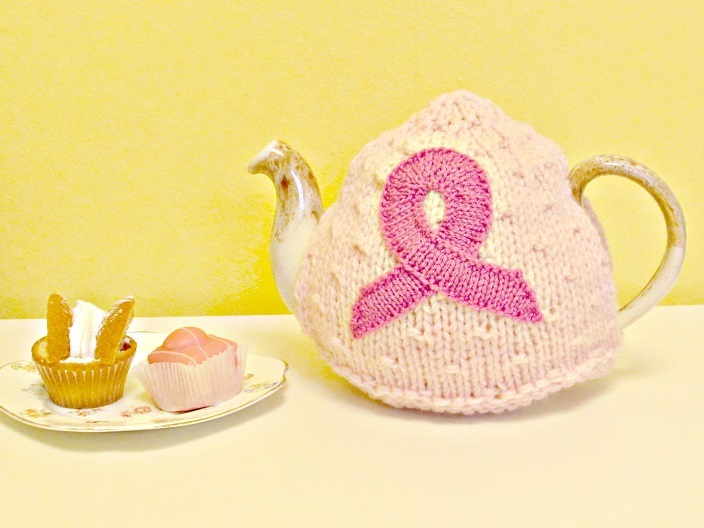 I am working with a group of ladies to knit and sell hand made crafts to raise money for Against Breast Cancer. Consequently most of what we are making is pink and bears the pink ribbon loop that we now associate with cancer charities. I had already designed a spotty tea cosy that would cover a 2 pint teapot. The knitting pattern for this tea cosy is freely available on the website for anyone wishing to knit them and sell them for charity. The ladies suggested that maybe we also have a mini sized tea cosy for a 1 pint teapot that serves one, and also maybe mug cosies for non-teapot users. 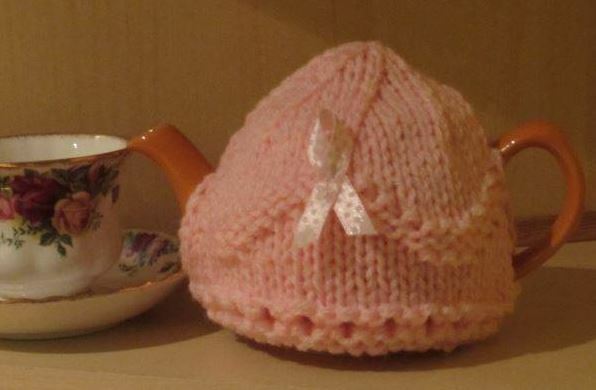 I have been working on the mini sized tea cosy and have included a wavy ribbon around the tea cosy, inspired by the ribbons that the charities use. The mug cosy is still in the development stages, but I am hoping to design a plain cosy that can be decorated with ribbon loops, as well as a more fun to knit cosy. I’ll keep you posted!